Chubby babies look too cute and cuddly but with increasing age, fat in children makes them prone to a lot of difficulties. 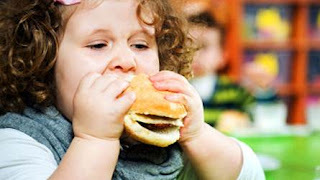 Obesity in children is growing at a very fast rate. Even though this can be attributed to their polarity towards junk food, it cannot be taken lightly. Not just health, but self-confidence also takes a hit with obesity. They get mocked by friends for their extra weight, which can negatively influence their confidence and character with time. What was once considered as diseases of adults has made their appearance in children as well. With a growing incidence of diabetes, heart disease and cholesterol in children, obesity in children has assumed alarming proportion. It needs to be addressed as early as possible to ensure the healthy well-being of the child. A proper diet coupled with proper physical activity can help in reduction of weight. Obesity cannot be measured with eyes. A few extra pounds on a child cannot necessarily mean obesity. Symptoms of obesity include a BMI above 30. It can be obtained by dividing the weight of the child in kilogram with the square of his/her height in metres. Socioeconomic factors that limit the availability of better and healthy food. Fayth Clinic offers health fitness and weight loss through its Medigym initiative. The weight loss program offers a comprehensive treatment regimen to enhance physical fitness while enhancing the social, physical and psychological functioning of a person.